Indiana’s Timeless Tales - 1782 - 1791 is a fascinating time line of events in the Northwest Territory that occurred before Indiana was a state. 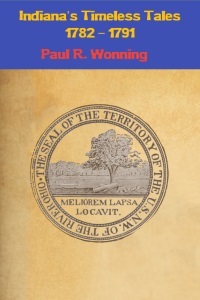 This volume covers events from the inception of the Northwest Territory until the tragic events surrounding St. Claire's Defeat. Download the Mossy Feet Books catalog today for great reading.